We decided to host two trips to the Arctic this year to share some of the places, animals and people we work to protect from industrial threats. Both trips offer an opportunity to talk to attorneys about the specific actions taking place by federal and state administrations to open protected areas of the Arctic to drilling. A five-day camping and hiking trip from June 18 to 24 will put you at the Kokolik River area of the northwest corner of Alaska’s Arctic with Trustees’ board member Bob Childers and staff attorney Suzanne Bostrom. The Kokolik River flows north from the foothills of the Brooks Range, along the western boundary of the Western Arctic–also called the National Petroleum Reserve-Alaska or NPR-A—to near Point Lay on the Arctic coast. 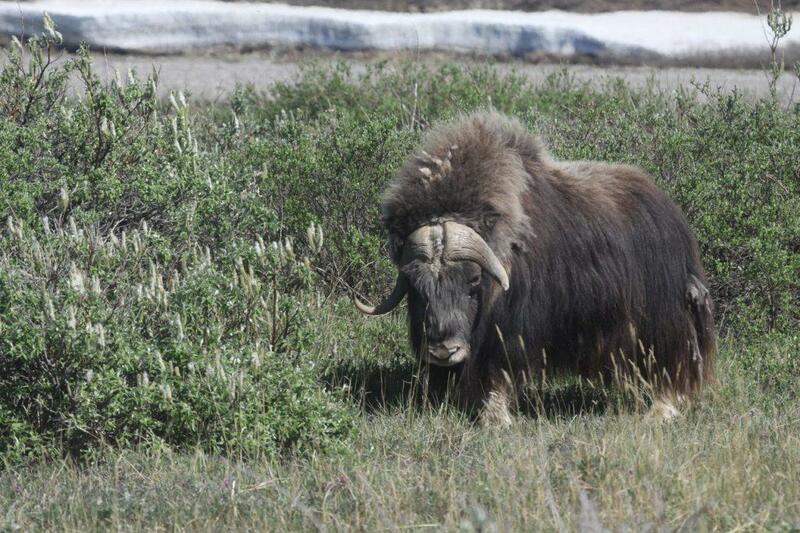 Bear, muskoxen, wolves, and birds of prey inhabit the region, and the Western Arctic Caribou Herd migrates through the valley. You may be lucky enough to see them. Get the details on this trip. 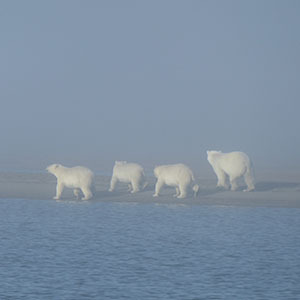 Four bears near Barter Island. Photo by Vicki Clark. The second trip from Sept. 20-24 will take you to Kaktovik, an Inupiaq village along the Beaufort Sea and within the Arctic National Wildlife Refuge, where you will catch a small boat out to the barrier islands to observe polar bears in their natural habitat. This bear-viewing trip includes 20 hours on the water and amazing opportunities to see and photograph polar bears. Get the details on the bear-viewing trip.